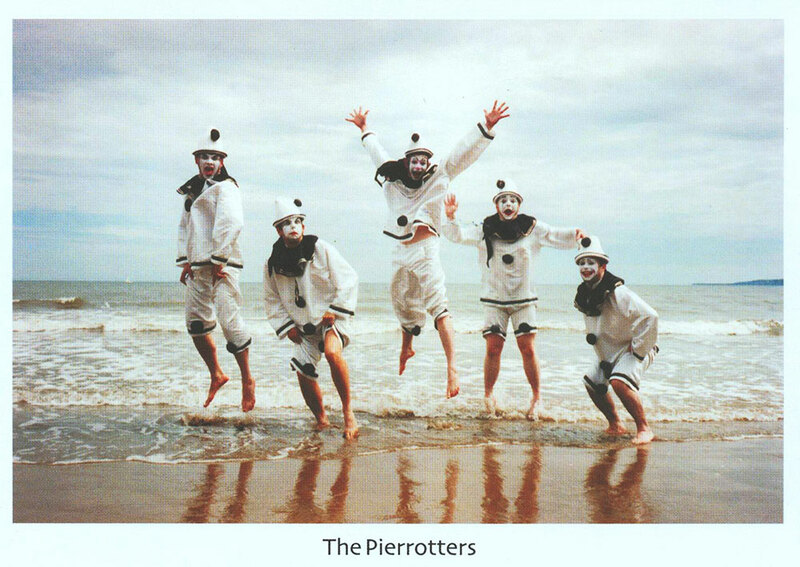 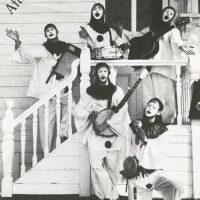 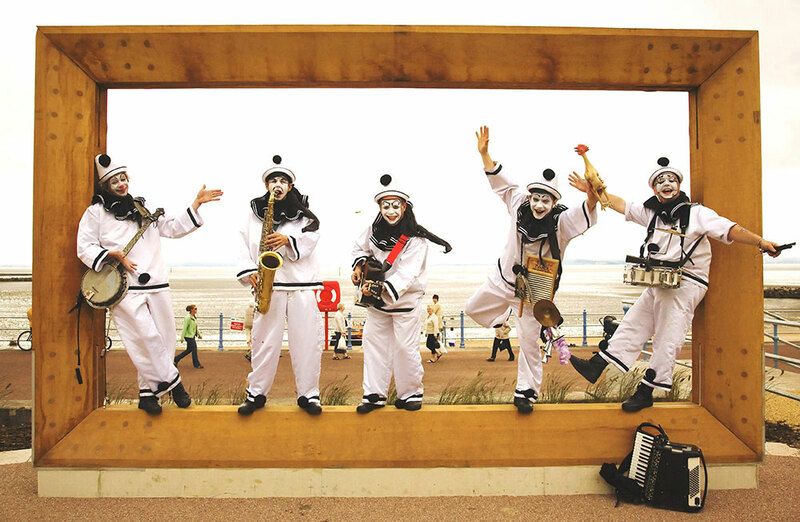 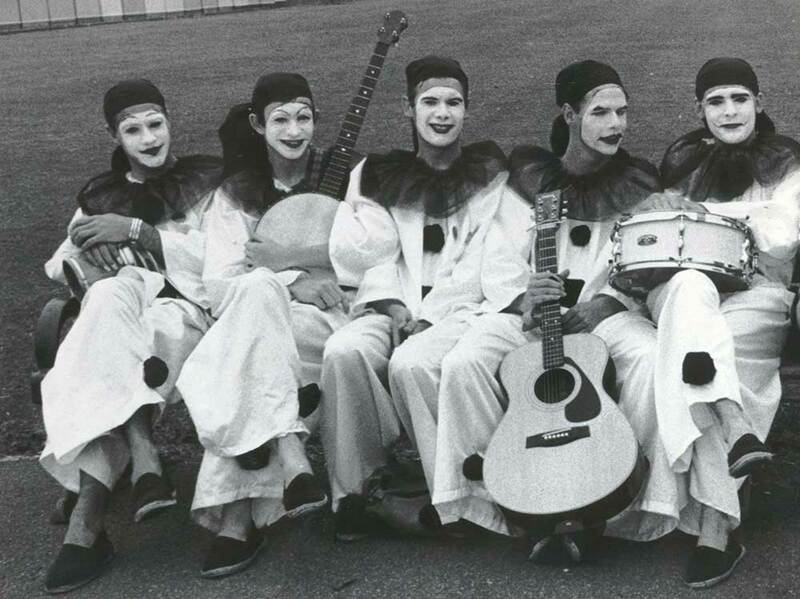 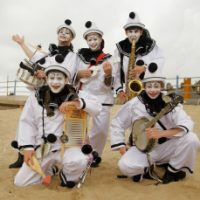 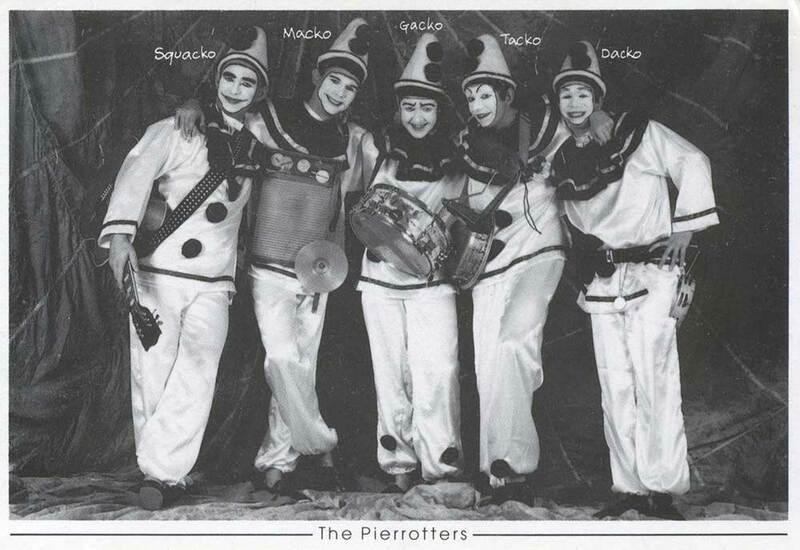 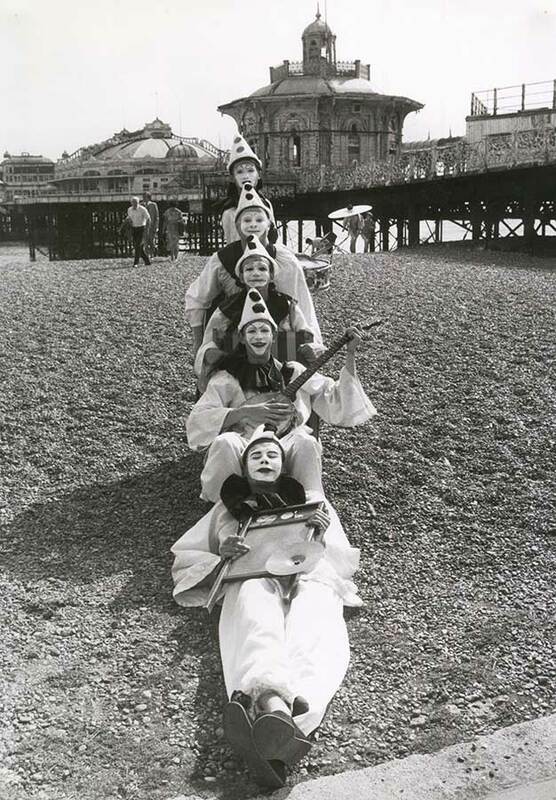 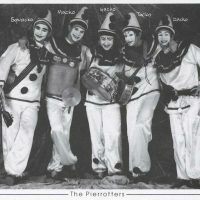 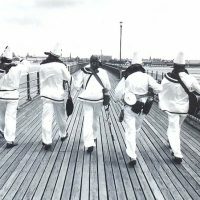 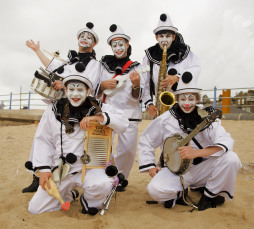 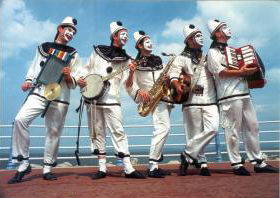 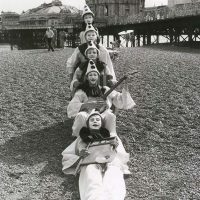 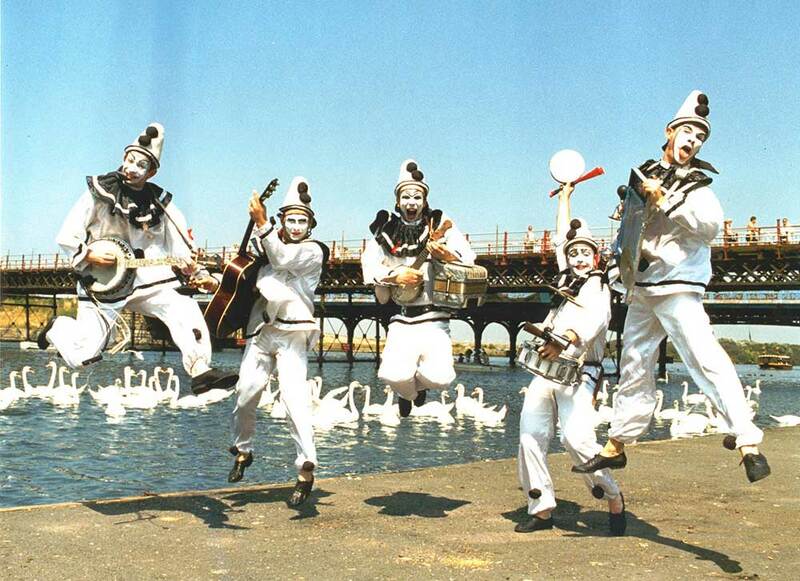 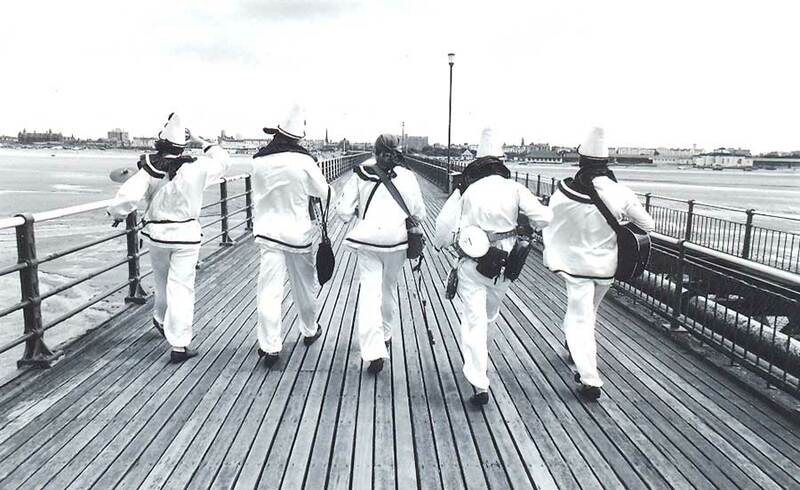 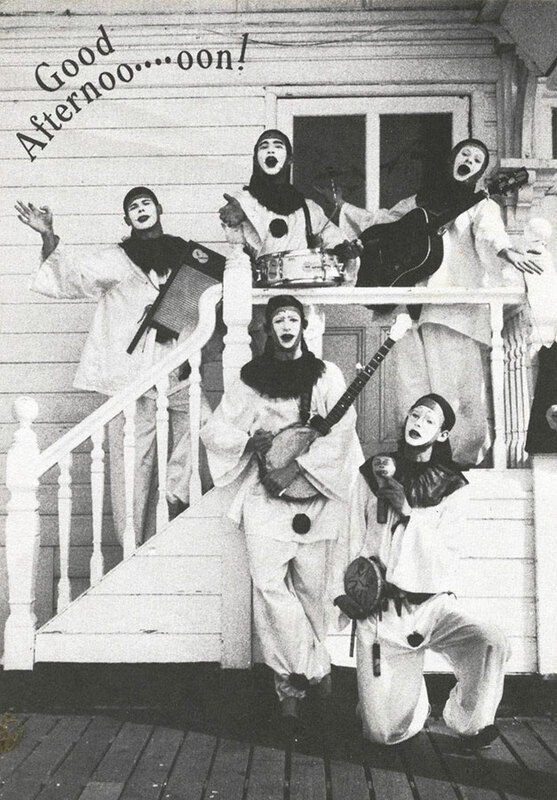 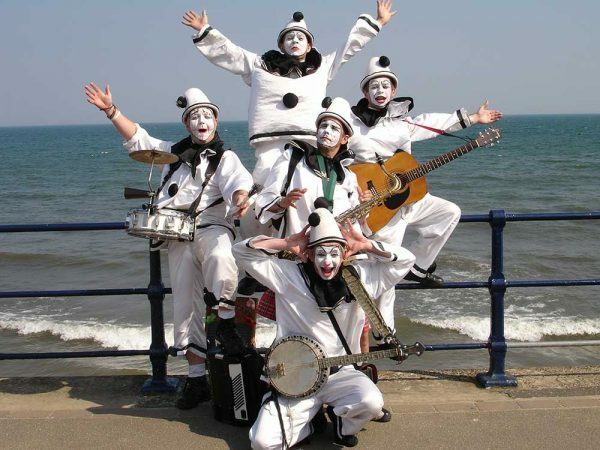 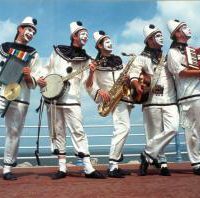 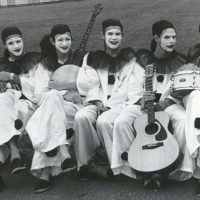 Since 1983 The Pierrotters have provided riotous family entertainment to audiences up and down Britain’s balmy coast. 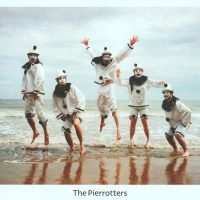 Totally unique, and utterly mobile, The Pierrotters brought their unique mixture of acapella songs, sweet ballads, musical hall routines and rock’n’roll to fun and sun seekers in a truly contemporary style! 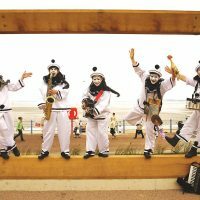 Fully clad in white satin and black pom-poms, The Pierrotters tantalised people to titters and teased them to tears as they lay in their deckchairs and drank tea or supped beers. 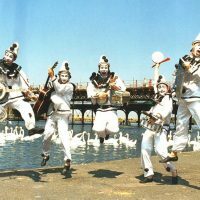 They could be seen at any outdoor event, festival, club, hotel, homes for the elderly, music hall, civic function or end of the pier show.